Inspired by the meandering Zambezi River in Africa, Zambezi features modern hand written calligraphy paired with modern type and accented with a meandering watercolour abstract. Customise this design by adding gold leaf, changing the colours, calligraphy style, changing the paper colour etc. Or just let the typography stand alone. 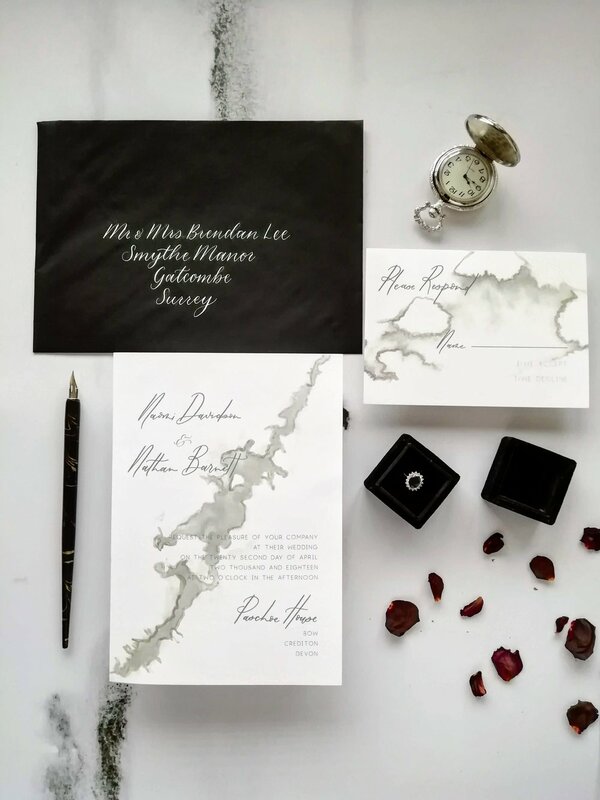 Zambezi is shown here digitally printed on lush thick stock and on handmade paper with matching, handwritten calligraphy envelopes. 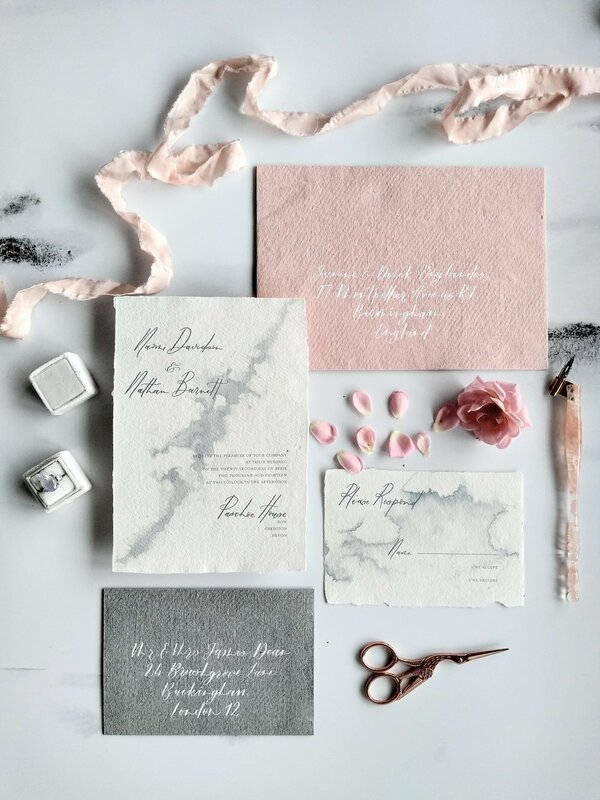 For calligraphy style options see our style sheet here. For pricing and upgrade info, see our pricing page here. To enquire or place an order, please fill in the order form here.